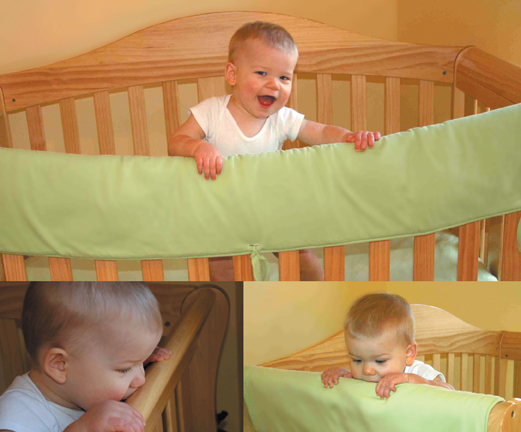 Crib Wrap protects your baby and protects your crib! 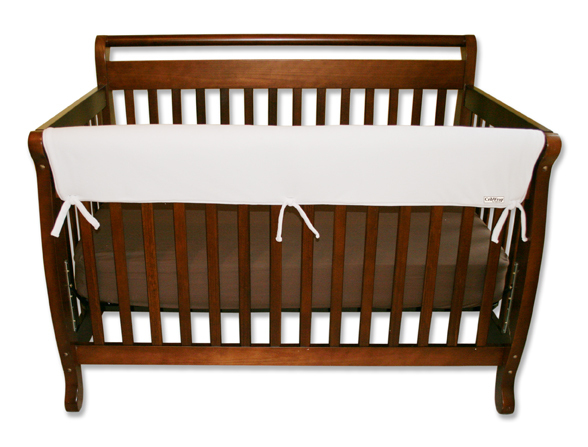 The CribWrap Rail Cover protects your baby from ingesting wood, stain or varnish; and protects your convertible crib investment from unsightly teeth marks. 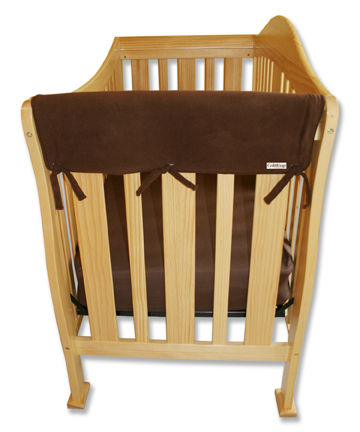 A soft Sherpa fleece padded fabric piece simply wraps and ties onto the crib rails. 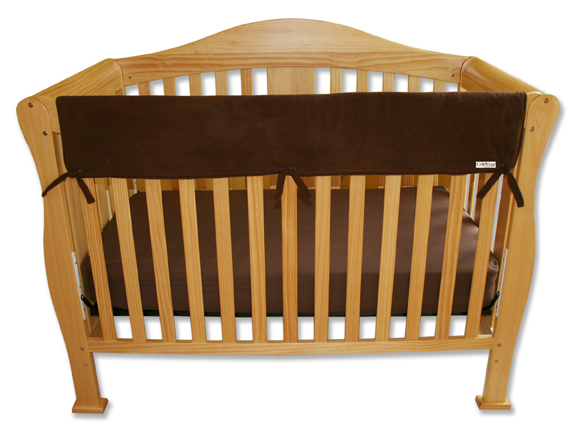 It stays in place once installed, and deters your baby from chewing on the wood. 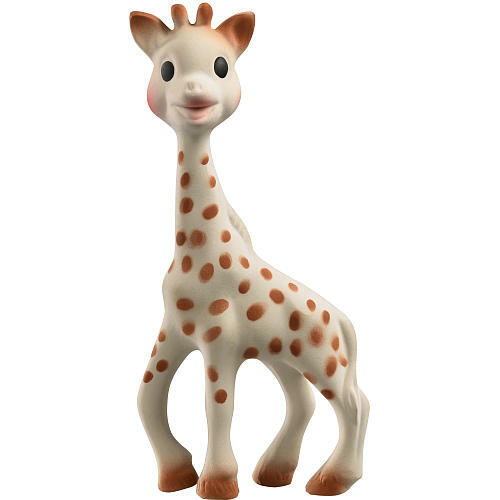 The waterproof backing protects the wood surface from potential moisture.